In this accessible text, a noted economist makes a case for a healthier global economy and shared rules and principles to support it. A globalized economy requires free trade agreements and an absence of barriers and tariffs. Yet, as Rodrik (International Political Economy/John F. Kennedy School of Government, Harvard Univ. ; Economics Rules: The Rights and Wrongs of the Dismal Science, 2015, etc.) notes, many nations that have benefited from those trade agreements haven’t quite played by the rules, such as the towering economy of China and the smaller one of Vietnam, while countries that do abide by the rules and rely on free trade, such as Mexico, have suffered. Given that globalism has provided a powerful bogeyman for Donald Trump and Marine Le Pen (who promised to dissolve the European monetary union if elected president of France), among others, an irony is hidden in all this. While “the global dissemination of democratic norms from the advanced countries of the West to the rest of the world has been perhaps the most significant benefit of globalization,” it is precisely in those advanced countries that democracy seems most endangered. Rodrik ventures that the idea of a “free market” is itself problematic, inasmuch as in the U.S. there has historically been a great deal of government infrastructural and financial support for private initiatives, with companies such as Apple and Intel benefiting from federal largesse in their early years. 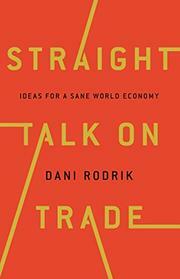 The author makes a point of distinguishing free trade and fair trade as two different things, with fair trade combatting protectionism while also restraining globalizers “from gaining the upper hand in cases in which international trade and finance are a backdoor for eroding widely accepted standards at home”—a living wage, say. Though Rodrik allows that some trade agreements can stand structural revision, he suggests that the developing world will not be a sufficient source of innovation to lead the global economy in the future. A thoughtful, reasoned argument, of much interest to students of globalism and its discontents.